Apply to a microfiber mitt and wipe the entire surface of the bowling ball before each shot so you can have the maximum hooking power. Can be removed with That Purple Stuff on microfiber pad. 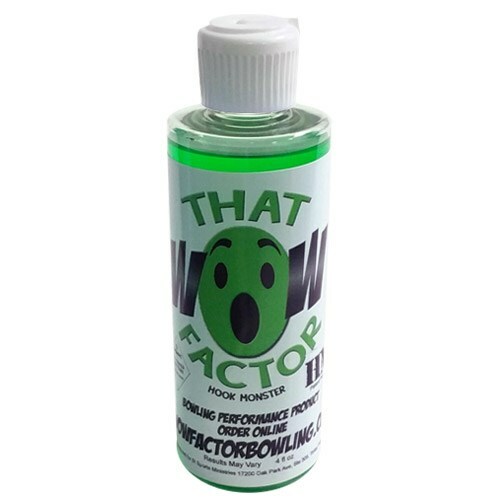 Due to the time it takes to produce the CtD That Wow Factor HM 4 Oz ball it will ship in immediately. We cannot ship this ball outside the United States.